Cesstech provides the complete range of services from installation to repair to maintenance and calibration for the complete range of ionizers and instrumentation sold. We offer yearly maintenance contracts that encompass cleaning (of emitter points) and calibration of ionizers at frequencies which depend on the process requirements, environmental conditions and specifications of the balance / discharge times. 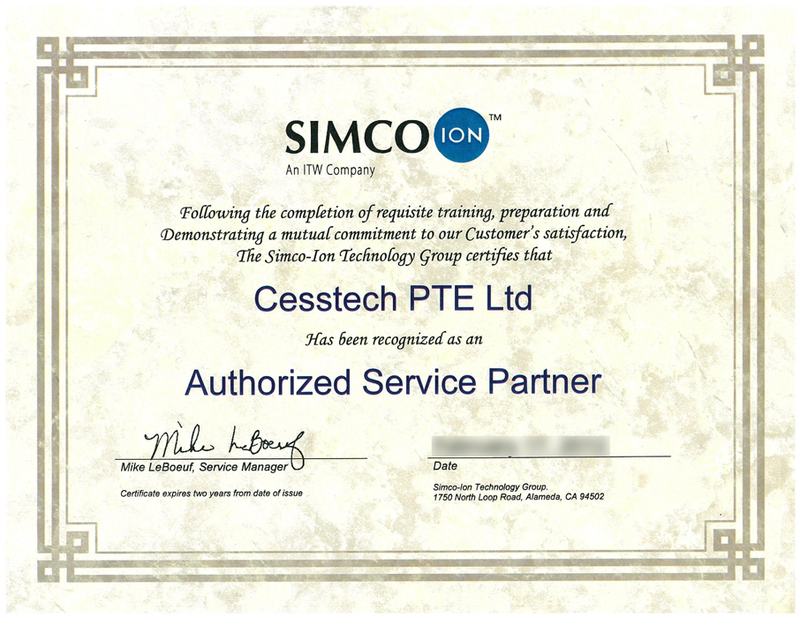 In addition, we are also an Authorised Service Partner of Simco-Ion and are authorize & certified to repair and calibrate the complete range of ionizers and instrumentation.